We are pleased to introduce our new product range, which offers you a variety of features and opportunities due to a completely new technical concept to ease your daily work as well as the increasingly cross-media tasks. Please take the chance of a personal presentation and visit us at our booth 8.E78 during the IBC 2018 in Amsterdam. For the German version please click here. The upcoming state-of-the-art product line is based on the know-how of MM01 and MM08E and customer requirements. All solutions are designed for studio to studio as well as studio to transmitter links and even for the increasingly widespread cross-media working method. The MM04C codec (4 channels) and the MoIN Server (up to 512 channels) offer high compatibility to all interfaces and support a wide range of protocols for streaming, control and monitoring (e.g. EBU TECH 3326, AES67, Ravenna, Livewire+, Dante, SMPTE ST 2110, PTPv2, RTSP, SAP, SIP, Discovery, Bonjour, SNMP, HTTP, HTTPS, FTP, FTPS or Ember+ and more). Furthermore, the exchange of additional information like GPIO and ancillary data between the audio networks is possible. The Reliable User Datagram Protocol (RUDP) ensures highest packet recovery in case of very high packet loss rates and protects equally against random packet losses as well as burst packet losses. It even requires less bandwidth and shorter delays than conventional forward error correction mechanisms (Note: needs a duplex IP link and uses Unicast/Multiple Unicast). Another advantage of both products is the wide range of possible algorithms (all MPEG layers, all AAC profiles e.g. 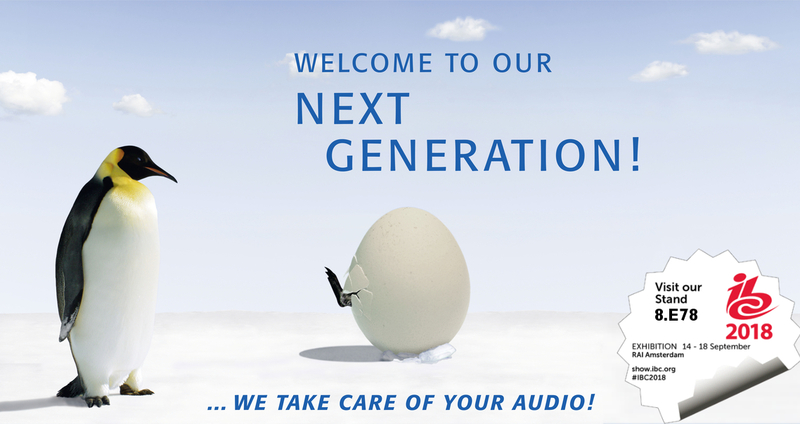 extended HE xHE, OPUS, OGG Vorbis, Enhanced aptX, AC3, Dolby digital plus or PCM and many more). In addition, audio streams can be combined to multichannel streams. Both solutions have unique features. The MM04C codec as a classic 19” unit can also be used as an FM rebroadcast receiver. 2wcoms full featured, comprehensive FM/RDS and analog/digital MPX over IP product line is undergoing a monumental change. All existing established products like C02 RDS encoder, S02 stereo generator or the analog/digital MPX over IP codec will be replaced by the new state-of-the-art 4FM. This new one-stop-solution offers technicians and decision makers a modular, highly economical and scalable concept in just one 19’’ 1HU rack unit. In comparison to the well-known former solutions of 2wcom, the 4FM provides a variety of sophisticated new features like the following: The device is equipped with inputs for analog/digital MPX, analog audio, AES/EBU and Audio over IP. As a result, the stereo generator now also supports protocols for Audio over IP streaming, control and status (e.g. EBU TECH 3326, AES67, Ravenna, Livewire+, Dante, SMPTE ST 2110, PTPv2, SNMP, HTTP, HTTPS, FTP or FTPS ). In addition, it is possible to add local RDS data to a MPX signal, that was already assembled in a main studio. The integrated FM tuner provides the opportunity of monitoring audio and RDS signals and in addition even rebroadcasting is possible. Furthermore, the device offers also the option to forward both the MPX signal and the pilot via IP.